This indispensable course text and practitioner resource, now fully revised, has helped tens of thousands of readers implement evidence-based interventions to improve students' academic achievement and behavior in PreK–12. The volume presents best-practice guidelines and step-by-step procedures for 83 interventions that can easily be implemented by teachers and other school-based professionals. It is a go-to book for those working in a multi-tiered system of support (MTSS) or response-to-intervention (RTI) framework. User-friendly features include recommended print and online resources and 10 reproducible forms. Purchasers get access to a Web page where they can download and print the reproducible materials in a convenient 8½" x 11" size. Updated throughout to reflect current research-based best practices. 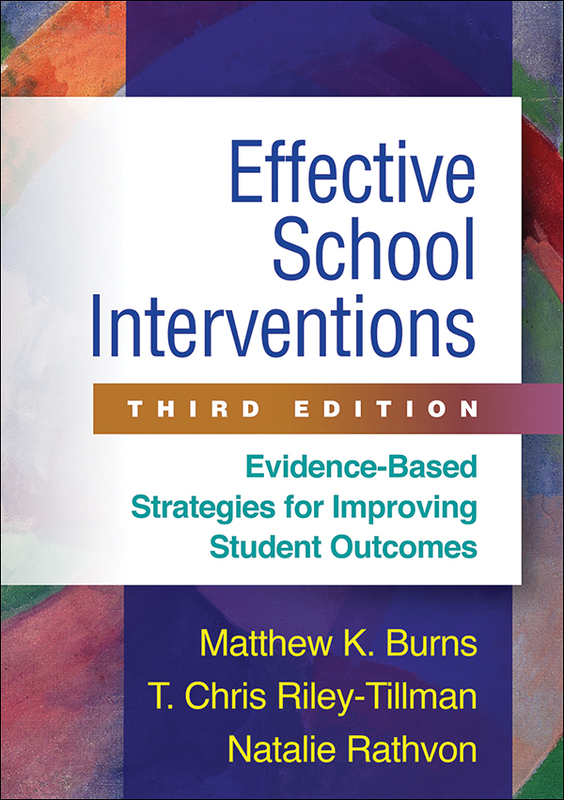 Chapter on important skills for intervention success. The intensity of each intervention (classwide, small-group, and/or individual) is now specified. Behavior chapter has been reorganized for easier use.